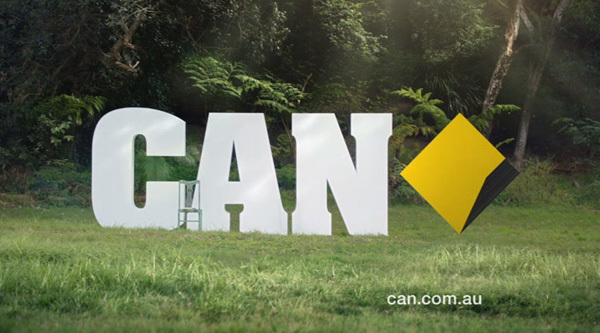 CommBank has owned up to the ‘CAN’T’ teaser campaign, launching its new brand campaign ‘CAN’ over breakfast today with the aid of a new ad solution from News Ltd. The bank will change its brand tag line to CAN and feature the new positioning of its staff’s can-do attitude in its advertising, beginning with an augmented reality in the morning paper, which will play the campaign’s TVC on readers’ smartphones. News Ltd mastheads in Sydney, Melbourne and Brisbane, will feature CommBank Logos that when scanned using the app ‘News Alive’ will trigger the TVC. Since last Sunday the teaser campaign for the brand relaunch has been executed through a series of outdoor, digital and stunt activations all displaying the CAN’T message. 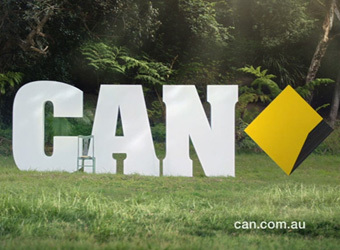 The reveal phase of the campaign sees the ‘t’ in ‘can’t’ replaced with the bank’s diamond logo. The TVC features Australian actress Toni Collette, who was chosen as an exponent of the can-do attitude, speaking directly to camera. “Toni is a credible personification of CAN, having ‘made it’ in Hollywood from humble beginnings in Blacktown in Sydney’s west,” according to the bank’s CMO Andy Lark. 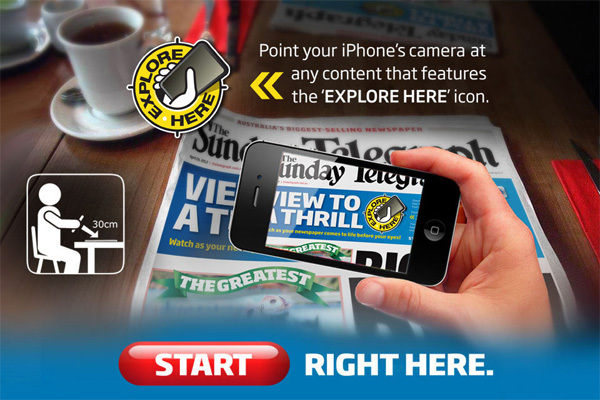 News Ltd has chosen to piggy back off the campaign, using it to showcase its augmented reality advertising solution, which is similar to Fairfax’s AirLink smartphone to print integration launched in the Sydney Morning Herald on May 18. ‘News Alive’ will also showcase the featured property of the week as a 3D interactive display embedded with a downloadable CommBank property guide app, offer body+soul readers 3D interactive articles and reveal 360° location views of tourist destinations featured in Escape.